The victim was one of four people injured, two critically, in the sickening rampage last weekend, as Theresa May’s Government announced greater stop-and-search powers for police. 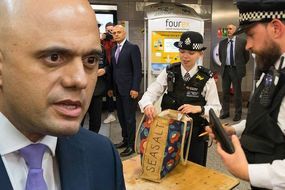 Campaigners criticised the Prime Minister for rolling-out a new pilot scheme on the controversial tactic after she curbed the practice as home secretary in 2014. Roger Blackman, 46, was on his way to visit his mum for Mother’s Day, when he stumbled up on the shocking scene of the fourth stabbing. The plumber witnessed the attacker run off as he rushed to the aid of a man lying on the pavement in a pool of his own blood. He told said: “The victim was screaming ‘oh my God, oh my God, why has this happened to me?’. “There was blood pouring out of his gash. It was a great big gash, about a three-inch wound. 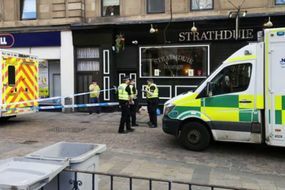 The first victim, a 45-year-old woman, was left fighting for her life after being stabbed in the back at around 7pm on Saturday in Aberdeen Road.